This guide describes access and use policies at the Robert S. Marx Law Library for non-law students, staff, faculty, and members of the public. Welcome to the Robert S. Marx Law Library! This guide is intended to introduce you to the many ways that the Law Library can assist non-law patrons. While the primary mission of the Robert S. Marx Law Library is to support research, scholarship, and learning for faculty and students in the College of Law, the Law Library also makes many of its resources available to members of the University of Cincinnati community, and the local bench and bar. Members of the general public, businesses, and organizations may access the Law Library for the purpose of conducting legal research. Individuals who wish to use the Law Library's collection of U.S. Federal Depository documents are also welcome. 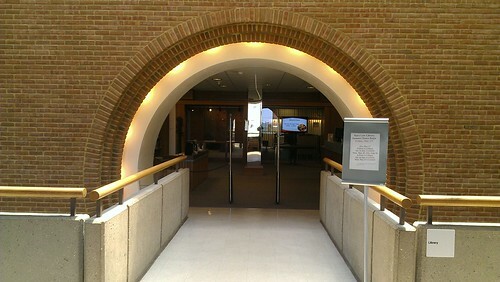 Visitors to the College of Law during regular business hours (8:00am -- 5:00pm) should enter through the Clifton Avenue doors. Visitors with ADA issues and all after-business-hours and weekend visitors must use the sliding glass doors at the back of the building. This service is only available during hours that the Law Library is open. Law students, law faculty, and law staff have 24/7 access to the Law Library but other patrons may only remain in the Library during the hours that the Law Library is open. The Law Library is restricting the usage of its study spaces to law students for the final exam period, December 3 - 17th. The Law Library's hours of operation vary during holidays. For that reason, we advise you to telephone the Law Library at 513-556-0163 in advance of your visit to confirm that the Law Library is open. 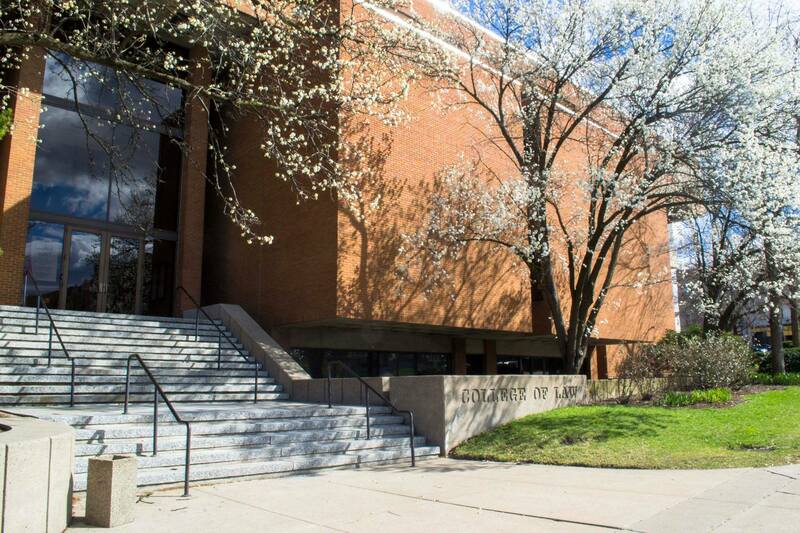 Law Library hours are also posted on the College of Law website at https://law.uc.edu/education/library.html​. Reference Librarians can facilitate a patron's use of the library, but cannot give legal advice. They can help patrons identify relevant materials and show them how to use library resources effectively. A Reference Librarian may not answer questions concerning the interpretation of the law, which law applies, or the application of law to any particular case. To consult with a reference librarian, please use this form. Also, don't forget the Library's Web page and many research guides. The Law Library does not lend library materials to Non-UC patrons unless they are members in good standing of an OhioLINK or SearchOhio institution (if you are a member in good standing of The Public Library of Cincinnati and Hamilton County and have a valid pin number, for example, you can check out books) or a community borrower. Non-UC patrons who are not members of an OhioLINK or SearchOhio institution may obtain borrowing privileges by becoming a Community Borrower. Persons wanting to become a Community Borrower must do so in person with proper identification at Langsam. For more information on becoming a Community Borrower, see http://www.libraries.uc.edu/content/dam/libraries/docs/commborrowbrochure12.pdf. Library materials may be used within the Library during regular hours, but may not be removed from the Library. Under certain circumstances, an I.D. will be required to use materials on the premises. A photocopier and scanner are available in the Library for the use of all patrons. Travel south on I-75 until you reach the Hopple Street exit. Take the exit to the top of the overpass. Turn left at the light onto Hopple. You will now be travelling east. Cross over I-75. Follow the road up the hill. Note that the street changes its name to Martin Luther King, Jr. Drive. When you reach Clifton Avenue, make a right turn and continue up Clifton Avenue. The College of Law is at the southwestern corner of the campus. The College will be on your left at the corner of Clifton Avenue and Calhoun Street. Take Exit 3 - Taft Rd. exit (marked University of Cincinnati exit). Taft Rd. is one-way heading west and changes to Calhoun Street at Jefferson Avenue. Take Taft/Calhoun to Clifton Avenue. Right on Clifton. The College of Law is at the southwestern corner of the campus. The College will be on your right at the corner of Clifton Avenue and Calhoun Street. Travel north on I-75 until you reach the Hopple Street exit. The exit will be on your LEFT. Take the left exit up to the light. This is Hopple Street. Travel north until I-71 merges with I-75 just south of Florence, Kentucky. Stay on I-75 across the river. Follow the directions for approaching the campus on I-75 northbound.